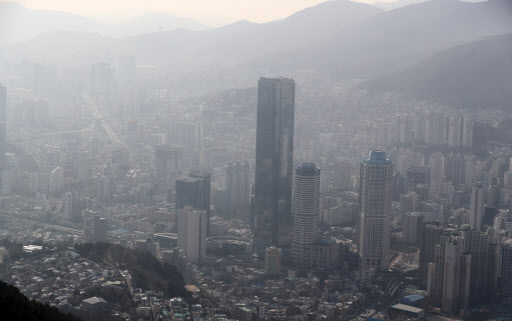 South Korea plans to conduct this year’s first artificial rain experiment over the Yellow Sea on Friday, as part of efforts to tackle fine dust pollution amid growing concerns over public health. The Korea Meteorological Administration said Wednesday the one-hour experiment will be conducted in the sea between the Korean Peninsula and China on Friday morning, with a plane, boat and other devices mobilized to measure meteorological conditions. The KMA will carry out a cloud seeding experiment and observe changes in particles in the clouds. The Ministry of Environment will then analyze whether the artificially produced rain helps get rid of fine and ultrafine dust in the air. In cloud seeding, chemicals such as silver iodide are injected into existing clouds to thicken them and increase the chance of rain or snowfall. The government hopes the artificial rain will prove helpful in reducing pollution levels in the atmosphere. In the short term, however, officials from the KMA and the ministry admit that artificial rain cannot be a major solution to the fine dust problem due to a lack of technology. “Through the experiment, we will explore possibilities. When data from the experiments pile up, we will be able to make use of the technology in reality. But we are not in the stage yet,” Joo Sang-won, director-general at National Institute of Meteorological Sciences. South Korea is still in the early stages of accumulating data on artificial rain experiments. Sixteen of the 42 government experiments conducted between 2010 and 2017 on inducing rain or snow in inland areas were successful. Due to technological limits, the increase in precipitation ranged from 0.1 to 1 milliliters per hour on average. In late 2017, the KMA purchased a plane dedicated to cloud seeding at a cost of 16.2 billion won ($14.4 million). In 2018, it carried out 12 experiments using the plane. Artificial rain experiments on 15 occasions are planned for this year. “The purpose of the artificial rain experiment is not to resolve the fine dust problem right away. It is part of the government’s efforts to try everything we can to tackle the problem. We hope that we continue to accumulate relevant data and technology so that in the long term we are able to generate 10 millimeters of rain or snow (per hour),” said Yoo Je-chul, deputy minister of the Living Environment Policy Office at the Environment Ministry. Some 37 countries around the world are carrying out artificial rain experiments in order to resolve droughts, secure water resources, prevent hail and fight air pollution. However, the impact of artificial rain on dust reduction or broader weather patterns is not yet known. Some pointed out that the humidity caused by cloud seeding could enlarge dust particles, therefore worsening the pollution. There are also environmental questions over the use of silver iodide.